Are you up to the challenge? 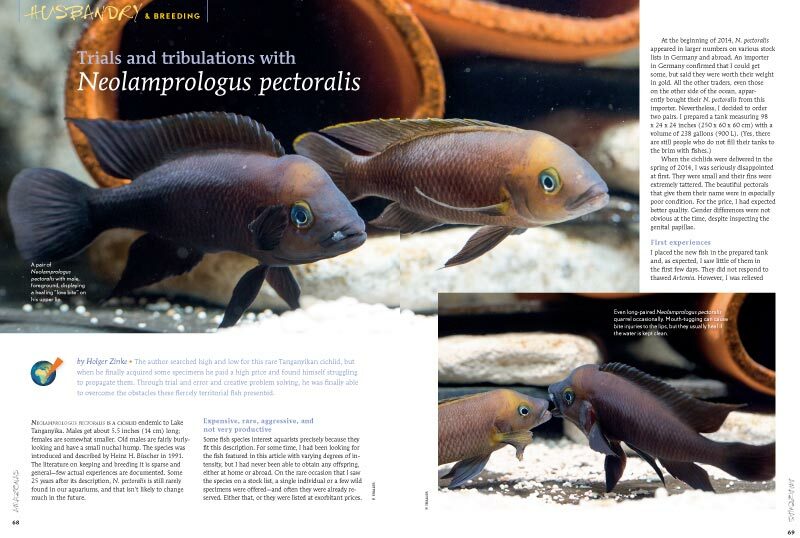 Holger Zinke shares his “trials and tribulations” keeping and breeding Neolamprologus pectoralis. Read more in AMAZONAS Magazine, Volume 6, Number 3. Neolamprologus pectoralis is a scrappy, 5.5-inch-long Tanganyikan Cichlid that is uncommon in the aquarium hobby, perhaps for good reason. Holger Zinke refers to it as “expensive, rare, aggressive, and not very productive.” It sounds like a challenge that some serious aquarists might have a hard time avoiding! 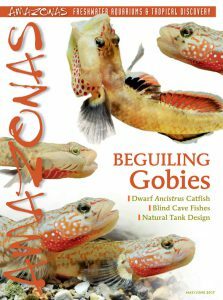 AMAZONAS editors were recently pleased to find a great video of Neolamprologus pectoralis online, published by Zinke’s good friend and Tanganyikan cichlid expert Harald Kahden. So as a special treat, enjoy this video directly from Kahden’s 900-L (238-gal) Neolamprologus pectoralis breeding aquarium. Watch as they tend to a small group of precious fry. You can read more about this challenging cichlid starting on page 68 of the May/June 2017 issue. Current subscribers can log into our digital edition now to read the story online. Don’t get AMAZONAS? Subscribe today and never miss an issue! Earlier this video was attributed to Holger Zinke, but it is in fact the work of Harald Kahden. We apologize for any confusion.